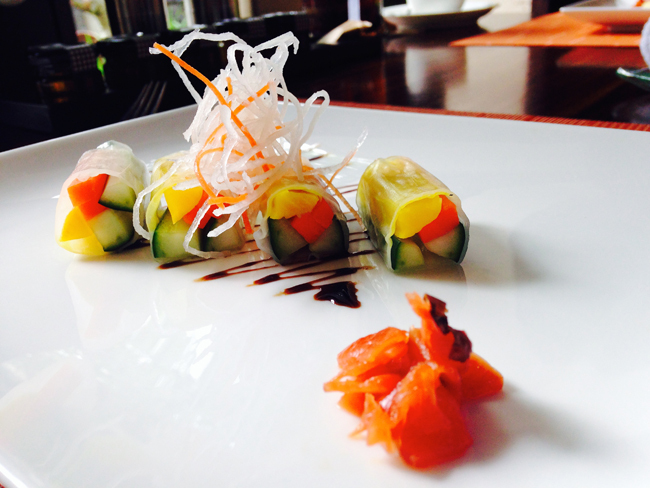 Home » Vegan Food Quest: Veggin’ Out and About Southeast Asia! Vegan Food Quest – Veggin’ Out and About In Southeast Asia! And so another month on our Vegan Food Quest to find, eat, and write about the best vegan food in the world has ticked by. This installment of our regular column comes from Vietnam where we spent a month exploring Hoi An, in Central Vietnam as well as Nha Trang towards the South. Last month we were wondering what Vietnam would have to offer traveling vegans (us), and looking back on our time in this amazing country we think it’s fair to say it offers us A LOT! In Hoi An, vegan food was everywhere from local speciality dishes that can’t be found anywhere else in the country to vegan versions of some of the tastiest dishes to be found in Vietnamese cuisine. We discovered new ingredients and flavors like ‘fish mint’ (not really to our liking) and ‘fermented tofu’ (divided opinions, with one of us loving it and the other not being so keen). Our month was a vegan culinary adventure! 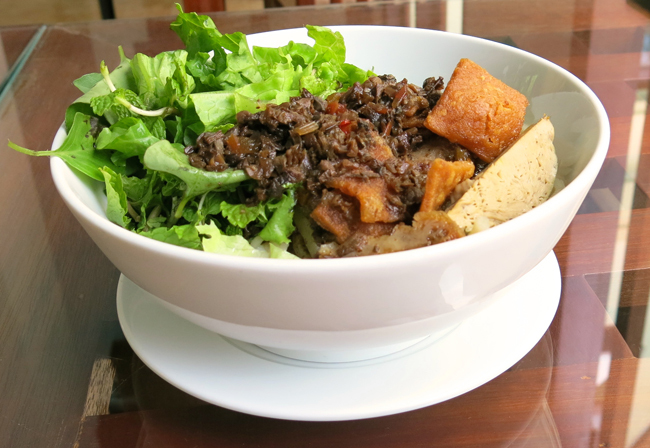 Cao Lau is a delicious noodle dish only made in Hoi An and we were really happy to have a vegan version. THREE COUNTRIES AND COUNTLESS VEGAN ADVENTURES! Here it is, our latest Vegan Food Quest update where we can share some of our vegan food adventures from South East Asia. This month we were in 3 separate countries and yet again we didn’t go hungry as we searched out plant-based treats from around the globe. 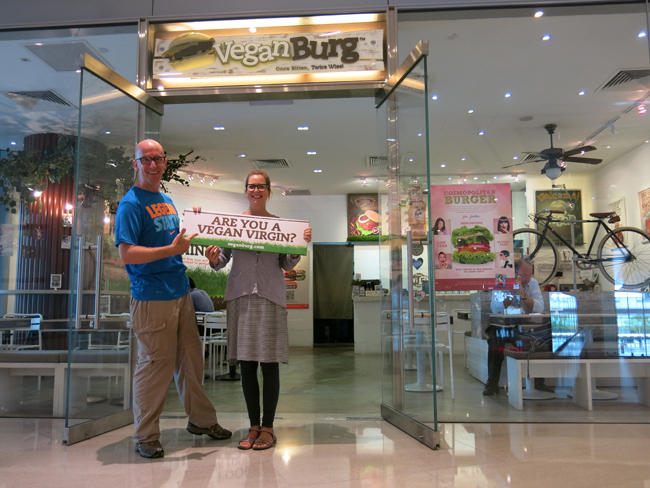 One of our favourite places we visited was in Singapore, where we were lucky enough to visit VeganBurg, a healthy fast food burger restaurant. French fries seasoned with seaweed, cold broccoli sides and crunchy little ‘spinach pops’ were a healthier alternative to what you’d usually find in a fast food place. 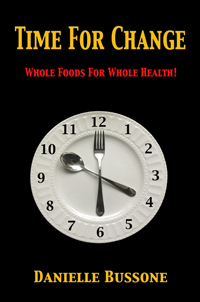 We loved it at VeganBurg; healthy vegan food at it’s best. FROM LUXURY HOTEL MEALS TO FANTASTIC STREET FOOD ON THE CHEAP! 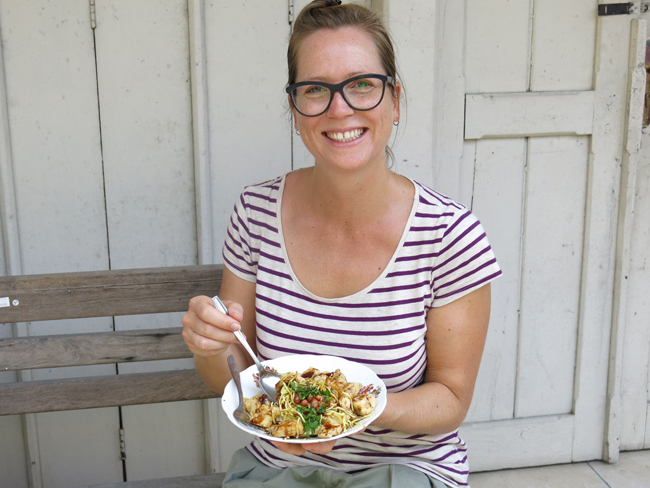 This month’s Vegan Food Quest has seen us discovering fabulous vegan food in Java, Indonesia. We’ve eaten everything from amazing fine dining vegan food in restaurants in 5 star hotels to cheap and tasty street food prepared on a cart at the side of the street. 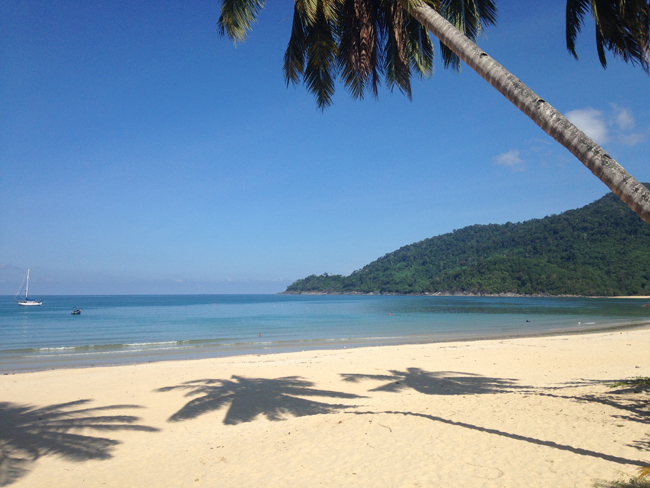 ENJOYING “CREATURE” COMFORTS ON TIOMAN ISLAND, MALAYSIA! Since the last Vegan Food Quest update, we’ve spent a week on Tioman island in Malaysia and then journeyed back to Melaka (also in Malaysia). It’s been a thought provoking part of our trip, as well as one that found us eating some seriously good vegan food. 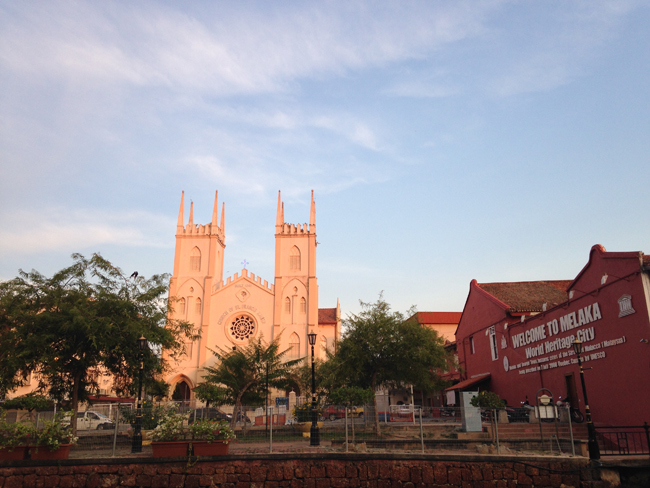 MELAKA — A FOODIE DESTINATION IN MALAYSIA! As we landed back in Kuala Lumpur after our stay in Bali I was already missing the Balinese food. Our last visit through Malaysia meant we got to try some great new vegan food and revisit some old favorites. I was hoping this visit would be just the same. After a few days, we boarded the bus and headed south for a couple of hours to Melaka, another of Malaysia’s UNESCO World Heritage sites. Much like Georgetown in Penang, who got their UNESCO listing on the same day, Melaka is a great foodie destination in Malaysia with the mix of Malay, Indian and Chinese heritage producing some of the best food you can find in the whole country. A VEGAN ADVENTURE IN BALI! As our taxi left the airport in Denpasar, I said hello to Bali and an even bigger hello to a bit of luxury as we checked into the 5 star Conrad Hotel in Nusa Dua. Its nice to have a break from traveling around and this was just what we needed, an amazing suite in this beautiful resort in the south of Bali. It was top end luxury but this doesn’t always mean great vegan food as sometimes bigger hotels can struggle to treat their vegan guests to the same level of luxury as their non-vegan guests. Not so at the Conrad. I was spoiled with vegan food at every opportunity from exquisite Japanese inspired breakfasts, to Indonesian dessert treats like ‘Burbur Sum Sum’ at afternoon tea and delicate canapes in the evening. The Vegan Food Quest really struck gold finding this place but deep down I was itching to get out and see the real Bali.